On Friday, May 13, F.O.R. 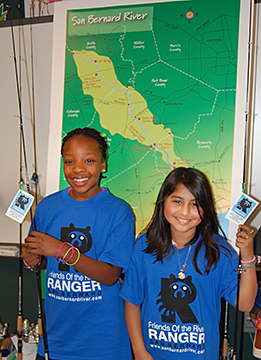 Rangers presented a program to 142 fifth graders at Wharton Elementary in Wharton, Tx. 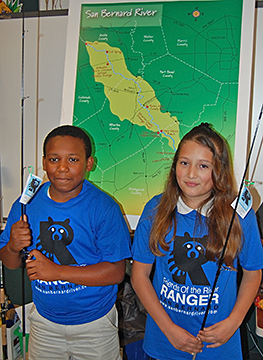 Facts about the San Bernard watershed, its environmental issues, fish identification of the San Bernard and nautical knot typing were presented. 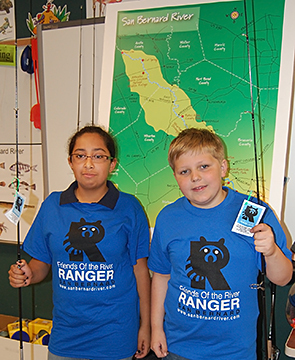 Each student received a packet of information about the river and a Ranger t-shirt. 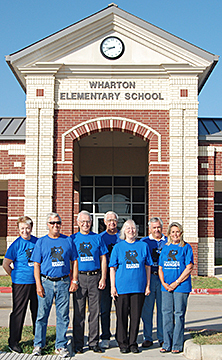 Lauren Shofner, standing in the middle of the photo, is the Science Co-ordinator at Wharton Elementary School. 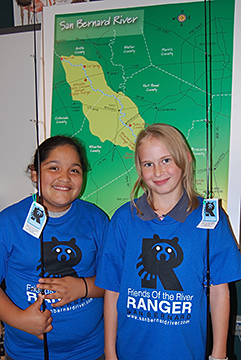 New rod and reels were awarded to two students in each of the four class sessions. Photos are below. View more photos.